← THE BIG BROTHER PHENOMENON: A SHOW OF SHAME? The tale is more of a tensed one. Gone are the days when only few recognised that there are virtually two sides of Manchester – The Red and The Blue Side. After the Arab Billionaires acquired Manchester City, the deal has brought more than just glamour and popularity to the ‘once-less-to-reckon’ football club. Manchester City has now become a team of great entity and has in few time commanded multiple fans to the Etihad. It’s the Manchester derby this weekend and it is no surprise that this match is one of ‘most talked about’ matches of the season so far. Manchester City has been able to overcome United several times in the past few seasons changing the status quo of United always being atop. Considering the current form of Manchester City not forgetting the arrays of players on their pay roll this season; one could easily give it to the noisy neighbours. Meanwhile after the retirement of Sir Alex Ferguson, inconsistency has become a major problem for United. David Moyes’ season was nothing to write home about. It paved the way for contracting “The Boss”. Luis Van Gaal has brought a lot of changes to United but it’s left to be seen if United have found their rhythm yet. 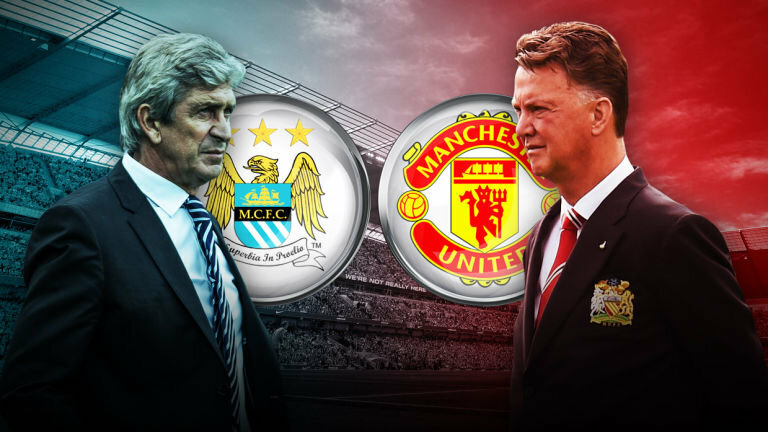 The game is set to go down on Sunday – 25th October, 2015. It’s going to be a showdown. Which team are you tipping to win this one?